We’re back, and ready to talk all things gaming. To wrap up the year and prepare for new things, we have a brand new episode of our long-dormant (hibernating?) 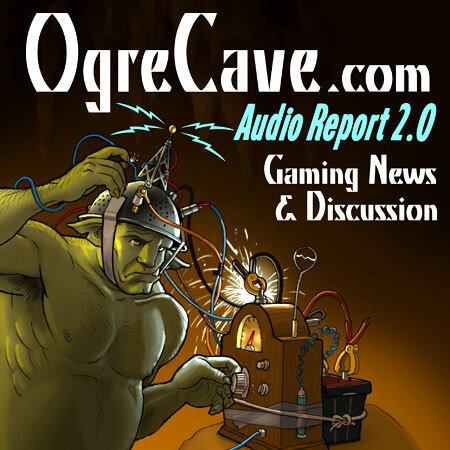 podcast show, the OgreCave Audio Report. Now redubbed 2.0, the relaunch episode has Mike and Allan talking of the holidays, Kickstarter goodies, interpersonal issues in game groups, and GamerGate, among other things. A more complete write-up will follow, but for now, enjoy the new episode, and happy holidays! If you haven’t already heard our other podcast show, OgreCave’s Gaming News Update, click through and have a listen – we’ve cornered quite a few game industry luminaries over the years.